The British Library – a unique cultural treasure trove that holds everything from great novelist’s first drafts to a world-class collection of sound recordings, the world’s oldest Bibles to Captain Scott’s diary… the list goes on. 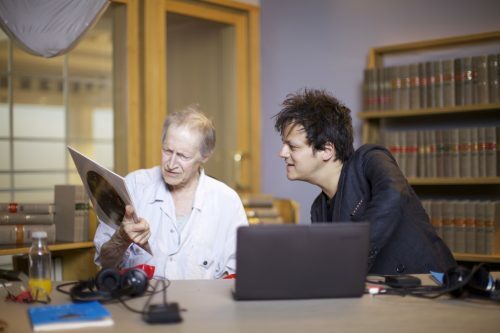 Now six celebrities will work together with the British Library’s expert curators to explore six items from the vaults that tap in to their deepest passions and influences. At the end of this cultural journey, he or she will donate an item from their own collection to join the great British Library Collection. Featuring leading scientist and broadcaster, Robert Winston; creator of the Gruffalo, Julia Donaldson; actor and novelist, Meera Syal; popular jazz musician, Jamie Cullum; acclaimed trumpet soloist, Alison Balsom; and radical poet, Benjamin Zephaniah. The British Library is a store of priceless wonders. It’s vaults hold everything from the Magna Carta to Beatles lyrics, medieval maps to Victorian photographs. In this film the leading scientist, medical doctor and broadcaster Professor Robert Winston explores six incredible Treasures of the British Library. He is helped and guided by the Library’s expert curators, discovering amazing facts and quirky details about each book, manuscript or object. Above all he and we enjoy the privilege of spending time with a truly unique and historic document or object. Each item taps into a different aspect of Robert’s life, career and interests. 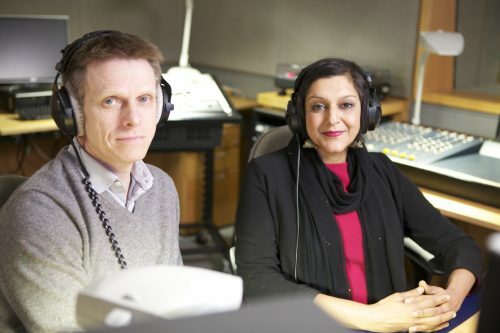 They cover subjects as diverse as skiing and theatre directing, ranging from a much-loved colleague’s pioneering lab notes to a rough notebook handwritten by Beethoven. Through the six Treasures Robert gains a glimpse of the sheer scale and breadth of the British Library collection, before ending the film with his own donation to its catalogue. The British Library is the greatest storehouse of our history and culture. On its shelves are British works ranging from the thousand year old Beowulf to handwritten drafts of James Bond. Now Julia Donaldson has been given the chance of a lifetime, to explore six great Treasures of the British Library. 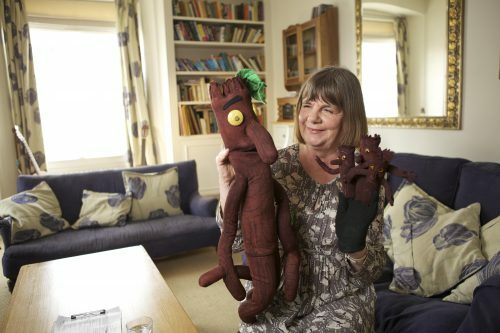 Julia is the one of the UK’s best loved and bestselling authors, creator of the Gruffalo, Zog, Snail and the Whale and many other spellbinding characters. Now she can explore aspects of her life and career in the world’s greatest library. Julia selects the themes she wants to delve into, each linked to a passion, an inspiration or a treasured personal memory. The expert Library curators then bring the specific Treasures from the deep basements – wonders ranging from a gold-decorated book of Persian folk tales to one of the earliest and most beautiful books of British wildflowers. After exploring favourite writers, hobbies and her own childhood, Julia must make a key decision: what will she in turn donate to the British Library, to become part of its historic collection. The British Library – a unique cultural treasure trove that holds everything from great novelist’s first drafts to a world-class collection of sound recordings, the world’s oldest Bibles to Kenneth William’s diaries. Now actor, writer and novelist Meera Syal is exploring this staggering collection, searching for six truly inspiring and moving Treasures. Guided by key personal themes she wants to explore, Meera discovers everything from Jane Austen’s personal letters to Sir John Gielgud’s scrapbooks. Working with the expert British Library curators she uncovers a tragic story amongst the official records of the British India Office and discovers the history of her favourite sport. As she finds each treasured item, Meera learns more about the dedication and skills that keeps the British Library working – right down to the staff in the vaults, working in the deepest basements in Britain. The British Library – the greatest repository of our culture, history and society. In its archives are everything from stunningly beautiful handwritten Korans to Captain Scott’s diary; Karl Marx’s letters and Sir John Gielgud’s scrapbooks. Now six of these Treasures will be chosen and uncovered by the acclaimed jazz musician Jamie Cullum. Drawing on his own passions, and aided by the expert British Library staff, Jamie will track down wonders as diverse as books hand-printed by Virginia Woolf and unique recordings of great jazz performances given six decades ago. Each of the six Treasures taps into a different aspect of Jamie’s life and work – the themes as diverse as photography or the bespoke shoemaking. Whether exploring the ground breaking works of the Beat Poets or records of his own family history, Jamie encounters items that only exist in the British Library collection. At the end of this cultural journey he will donate an item of his own, to join the great British Library Collection. The British Library collection over one hundred and fifty million items – everything from medieval chronicles to live jazz recordings, the Bronte’s manuscripts to Beethoven’s tuning fork. Now its six of its greatest Treasures will be explored by the acclaimed trumpet soloist Alison Balsom. Alison has chosen six aspects of her life and work to explore – everything from the music that drives her life and career to the complete escape of a favourite sport or beloved author. Now, working and guided by the British Library’s expert curators, she will discover wondrous items that tap into each theme and passion. The Treasures Alison encounters are surprising and engaging – charts made for Tudor royalty, to help them protect the country from invasion, the actual ink of Leonardo da Vinci and Thomas Hardy and the surprising inventions of Alison’s own ancestor. Each is an item of national significance and worldwide renown – but each is her own personal Treasure of the British Library. The British Library’s vaults hold a staggering record of the UK, and the world’s culture, history and society. The collections range from maps to stamps, scientific discoveries to illuminated Bibles, Anne Boleyn’s handwriting and Oscar Wilde’s tales. 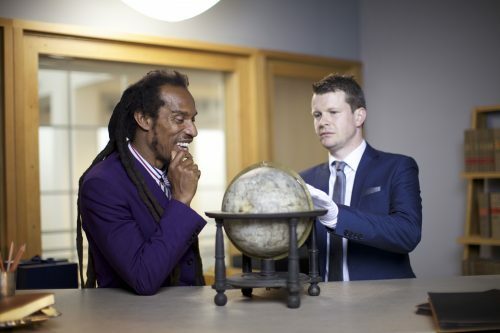 Now radical poet Benjamin Zephaniah will delve into this truly unique store house, finding six individual treasures that speak to him. Benjamin is a passionate believer that libraries are the true universities of the streets – now he has the chance explore the greatest library on Earth. Each item Benjamin discovers taps into one of his greatest interests and passions. A private obsession with banknote collecting leads to one of the very first ever printed; and passion for rebels leads him to an oak tree in Norfolk and the handwritten demands of the Tudor rebels who met there. There are surprises in store – revelations about Benjamin’s hero, Percy Bysshe Shelley, and the handwriting of Shakespeare himself.